Call (904)728-7378 for a free no obligation estimate. We promote the greenest, thickest & healthiest turf by providing your lawn the highest quality nutrients available. 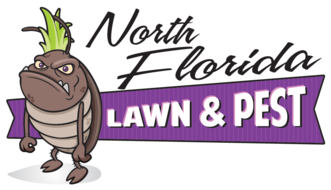 Whether it’s an existing issue or pest prevention, North Florida Lawn & Pest has a program to suit your needs. We are able to provide you with the sod renovation work you need, whether you need 10 pieces or 10 pallets! We make sure your lawn stays healthy, by keeping your irrigation system functioning properly. Your home is more than just a house. It’s your refuge, your comfort space, the place you raise your family. At North Florida Lawn and Pest, we want to keep your family safe and comfortable so you can spend your time enjoying it, rather than worrying about it. With our excellent customer service, completely custom packages, and scientific based approach, we’re not happy until you are. Our technicians are ready and available to help get your home or business back into shape. Diagnosis and treatment applications are quick and painless so you can get on with your day. We’re there when you need us. Our monthly programs are designed to treat your existing conditions, get your yard looking its best, and keep your home protected now and always. It might not sound like the most exciting thing, but we are constantly updating our process, and the ways we treat your property to reflect the most current research and safest solutions. This is the best our lawn has ever looked! Not to mention, these are some of the NICEST people you'll ever meet. Thank you! Chandra A.